Our surf camp team will make you feel at home as a part of the Pro Surf Morocco family. Our staff are all real surfers with many years of experience surfing and instructing. We invite you to come and experience an unforgettable holiday and share in our passion for surfing. Brahim started surfing in his teenage years, rapidly progressing to become one of the top surfers in Morocco, winning second in the Championship Morocco du Sud. After spending the following few years on the competition scene achieving some outstanding results, he climbed to number 1 in the Moroccan Championship ranking. 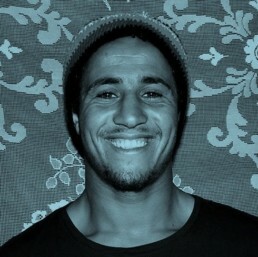 In 2014 Brahim was invited to compete in the prestigious RipCurl West Africa Tour in Dakar and Senegal, achieving an impressive 2nd place, proving his surfing abilities on the international scene and cementing his place as one of the best surfers in North Africa. The last few years Brahim has continued to maintain his high level of surfing abilities, but now spends much of his time showing others his passion for the sport, making them fall in love with surfing in the same way he did. 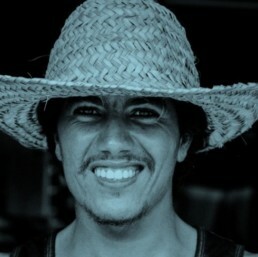 As a qualified surf instructor, accredited by the Moroccan Surfing Federation he is able to coach beginner and intermediate surfers, as well as guiding more advanced surfers on the best waves in the country. Linde has the salty water in her blood! The moroccan waves call her ever since her first visit in morocco 2 years ago. The craving for the lineup brought her for several months to us now. 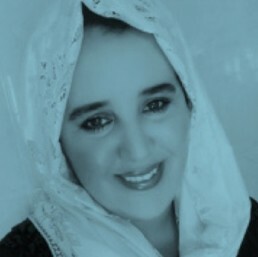 She will take care of you and make sure that you fall in love with the moroccan culture like she did. Our lovely Karima makes you the best traditional dinner that you can imagine. She uses different spices to create a fantastic chicken or vegetarian tajine. You also get the taste of different salads and other specialties. She cares about the quality of our food and whenever it’s possible she supports our local shops and farmers.